When it’s time for the winter games to start or winter time sports as they are often called many people start to prepare for training. Over 65% injuries of the hamstring among American football participants were while participating in high speed activities where there’s frequent amounts of throwing up the leg, sliding, twisting, turning, throwing, along side overuse made up the other 30%. Injuries due to stretching injuries had an 84% longer time spent on recovery and coming back to play time than running injuries of higher speeds. Conducted on professional footballers but also still applies to an everyday athlete. Also, being that these were professional athletes who wanted to get back to the field as quickly as they can. With more motivation to get better quicker along with better resources to do so. Every case is different, depending on the individual type of injury. The average amount of time it took to return back to playing took over 22 days shorter than that of the normal protocol in place. 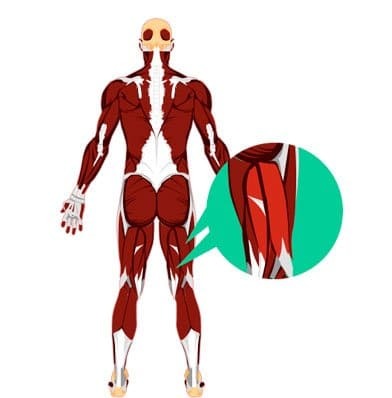 Now, this new technique that has been used in studies puts a heavier load on this particular muscle at the exact point of maximal lengthening which has both the hip and knees engaged. Rehabilitation rules based upon other protocols that were based on other research had previously said that rehab of injuries of the hamstring should build on getting different loading upon the longest muscle lengths as possible. In the end, this study found that a rehabilitation protocol consisting of mostly lengthening type of exercises is more effective than the past protocols when dealing with return to sport in acute injuries of the hamstring. So a rehabilitation programme based on strength and flexibility exercises that mostly involve movements with high loads at long muscle-tendon lengths is the most effective at reducing time to return to play. If you suffer from an injury of the hamstring, whether it be from playing American football or another sporting activity book in to see a Dr. who’s interest lies in sports injuries and have them check severity and give you an indication of your estimated return to sport time frame and set up a rehabilitation protocol for you which will both help you return to play quicker and reduce your chances of it happening again.